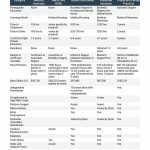 A comparison of what it takes to get in (GPA, MCAT, GRE scores, prerequisite coursework, and clinical experience), years of training and time in school, job duties, cost of education, average salary, job satisfaction, divorce, and burnout rates all compiled into this (very shareable) image. Good work, however the salary range is off for doctors. The upper end average is at least 400k for some surgery specialties such as ortho and neuro. Yes, John, you are right although I think this meant to reflect upper-end averages although this may have increased since I first published this infographic. I also know orthopedic MDs that are making 600k + in their private practices. I am not sure how much of that actually comes home to them but yes, it can be a very rewarding career from a financial perspective. It could be that the averages we see published on the internet don’t reflect actual salaries. I was refer to a PA in my doctor’s office. It was a disaster and nearly cost my life. The PA reduced my depression medication to fast, which put me at risk. I was in a spin tail depression, wanted to kill my self, cried uncontrollably for hours, just wanted to die. After several days, I called my physician, he increased my medication until I feel better. Eventually, I was put on a different medication, I now feel better. 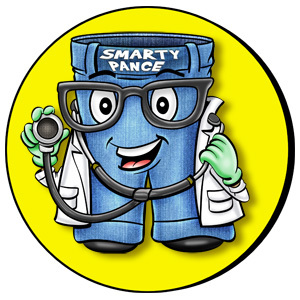 But every time I ask to see my regular physician I am told that he is so booked up and unable to see me, but I could see a PA. 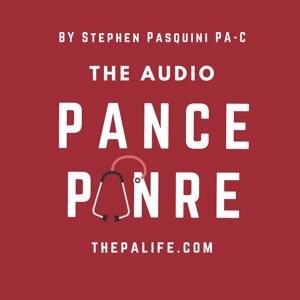 Sorry, I went through hell and back with that PA. What can I do. I pay for a doctor, not a PA or nurse aid. I do have depression issues, it comes and goes. I never want to go to that very dark hole of despair to want to end my life. What should I do? I am so sorry you had to go through this experience and I’m glad you had the fortitude to reach out and get the dose adjustment you needed. In these situations it’s important you have a provider you like and trust. If a certain clinic or group of providers are not able to meet this need then it’s important to find the right team. It may mean changing clinics or it could be that you simply need to explain your situation to the office staff and let them know that you are not comfortable seeing that particular provider. 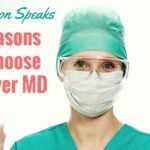 You can always request to see the MD but I do know how wait times can be, especially as more and more clinics are relying on more advanced practice providers and have less of a pool of MDs. If you are able to wait then it’s not a problem, but this is not always so easy. 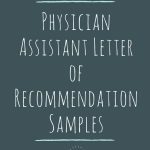 Also, you may consider seeing one of the other PAs or NPs at the clinic if the MD is not available, just as with MDs there are some that are going to jive with you and others that may not and you could be pleasantly surprised the next time around. As always you have to be an advocate for your care and you never have to feel bad about making a request that is best for you. It’s your life after all and you only have one of these and anybody who is caring for you should know and respect this! 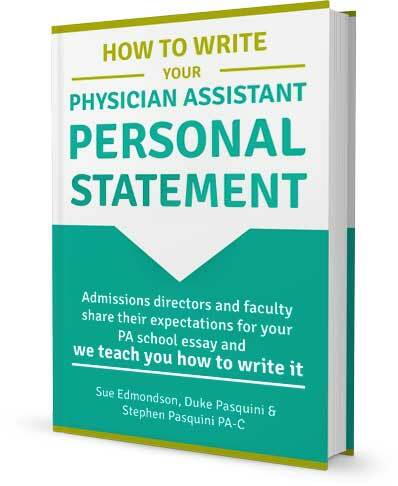 Although PAs are valuable as mid-level care professionals, one should never level the care received by a PA and a Physician as equal; simply put, they are not. 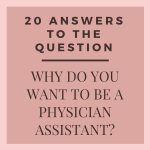 Understandably, with enough experience, one can argue that a PA in the setting of their selected area of practice can provide care on par with their physician counterpart. However, we need to consider a few things before we come to that assumption: one, is the misinformation in the article that education is 9 vs 6 years. This is flat out not true. Physicians spend a minimum of 11 years of education and clinical training from undergrad to becoming fully licensed physicians, including many more clinical hours. 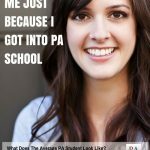 Furthermore, getting into any medical school is a highly selective process (not that PA schools aren’t selective, but I can assure you, definitely not on the same scale). 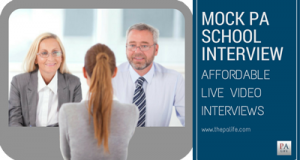 Secondly, medical schools look for a different type of person with very narrow qualities perceived as being able to handle the responsibility and challenge of becoming a physician. 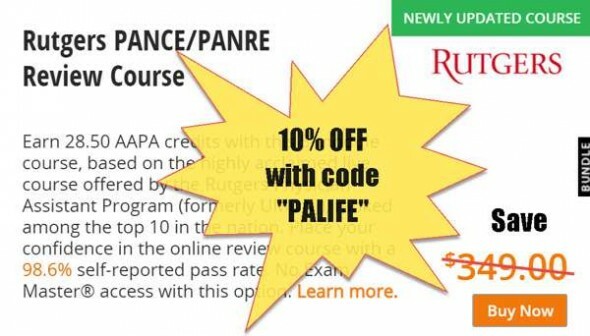 Additionally, because the scope of practice of PAs are more narrow, they are not trained for complex medical issues that require a broader fund of knowledge and dept of analysis ( I have witnessed this first hand as a 3rd year medical student, where seasoned PAs in the ER are constantly consulting physicians in terms of differentials, what lab to order, etc…). We should also look past the comparison of years and inspect the actual differences in education and training of both. PAs spend roughly 1 year and 1.5years (in more respected institutions) in didactic and get shoved into clinical rotation their second year; which is equivalent to my 3rd year as a medical student. Medical students spend 2 year in didactic and 2 years in clinical rotation. 2 years of basic education and training might not sound like but we should considering the amount of knowledge that must be absorbed during those 4 years of medicine. Lastly, consider the licensing process for PAs and MDs or DOs. 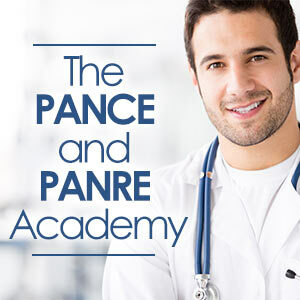 PAs must pass 1 licensing exam at the end of their education; contrarily, their MD or DO counterparts, need not only pass 3 licensing exams (USMLE 1,2,3) but in addition, must also pass a board examination for their specialty before they are allowed to practice independently. Its becomes obvious, that education and training of PAs vs MD/DO is vastly different. 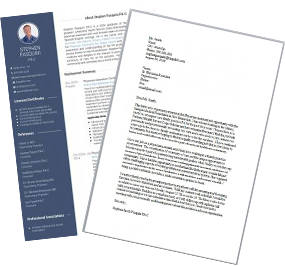 The reason for this is simple, the Physician’s scope of practice and the set of skills are completely different to than of any mid-level care medical professional. 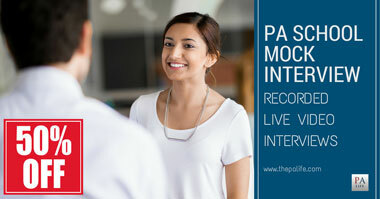 I have no issues at all that PAs practice side by side with Physicians , they are an incredible asset to patient care. What I am critical of is the fact that many PAs or NPs (nurse practitioners) have the mindset that the mid-level care route is an avenue to becoming a physician (which I have seen, where PAs and NPs don’t even correct patient when they are addressed as “Doctor”). It is not; or at the very least, until education and training becomes on par with that of MDs/DOs, but, at that point, one can argue why not just go for MD/DO? 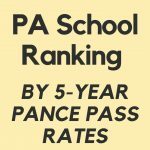 I posted here almost 4 years ago, when I started my pre-reqs in order to apply to PA school. For years of non-stop study, (I began on the Fall of 2014, and coincidentally I will be finishing on the Fall 2018) and tons of exams, quizzes, clinical rotations later, I will be graduating next month. I am an International Medical Graduate, passed my medical boards many years ago, but unfortunately was never able to “match”. 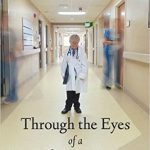 As time passed, I decided that the best and closest way for me to experience my joy and love for medicine was through the PA profession. Thanks God I made the right decision. 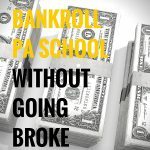 The advice I read on this blog also helped me tremendously along the way. I am so close to achieve my goal, just one more End of Rotation exam, and the final graduation ceremony next month. I even have a job waiting for me (in Emergency Medicine). It seems that was yesterday when I wrote my first comment here. Thank you Stephen Pasquini for motivate us. 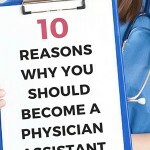 The journey to become a PA was not an easy one, but it is definitely achievable. God bless you all. 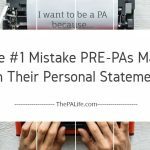 Until you have been a PA and a physician as I have please stop trying to pretend you know the difference. It’s 11 years minimum to have a career in Medicine. But the main difference is that midlevels don’t know what they don’t know. After all, how could they? Are you mad at something? It is a little bit of heat in your comment. 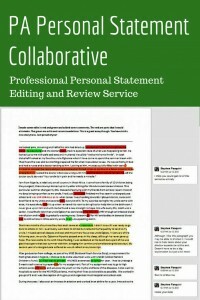 Sometimes those “midlevels” do know what they are doing, and like most honest professionals, including MDs and DOs, they also know their limitations, and they also don’t know what they don’t know, because they are not super google computers. I have met dozens of well prepared and trained PAs and NPs, and let me tell you something my friend, they definitely know their craft. At the same time, I can tell you with a lot of certainty, that I have met doctors, whom I always wonder, how the heck did they go and pass medical school. So please, do not demean “midlevels” or however you want to call us. 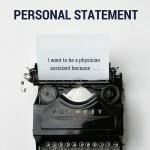 I have also been a full physician and now (well, in a month) I will be be a full PA. I have great respect for all these individuals, MDs, DOs, NPs, PAs, Nurses, and Technicians alike. And I can tell you this, it is not about the amount of material you have in your head, but instead, how you use that material for the well-being of your neighbor. I love this so much Carlos, so beautifully said! The training requirement for physicians is 11 years (4 undergrad, 4 med school, 3 year residency for primary care, longer for subspecialties). Although technically true some states allow general practice after the internship year, we could probably count with one hand the number of physicians who choose this route. 11+ is much more realistic (and accurate). Otherwise, great infographic. Under training and time in school you state for an MD it takes 4 years undergrad, then 2 years to get an MD. I think you may have meant to say 4 years in undergrad, then 4 years in med school to become an MD, and 3 years specialty training. Thanks for putting this together. 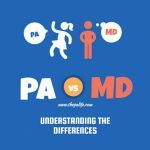 It is a nice concise way of noting the differences between PA and MD. Hi, Jo, you are right this could have been worded a bit better. I was dividing this up by didactic and clinical, but this is a bit confusing. Thanks so much, I have updated this.